Japan released the Consumer Confidence data and the US will publish Federal Funds Rate, Crude Oil Inventories, Pending Home Sales m/m, and ADP Non-Farm Employment Change. The support rests at 109.130 with resistance at 109.470 which both lines are below the weekly pivot point at 109.560. The EMA of 10 is moving horizontally in the ascendant channel and it is above the EMA of 100 and below the EMA of 200. 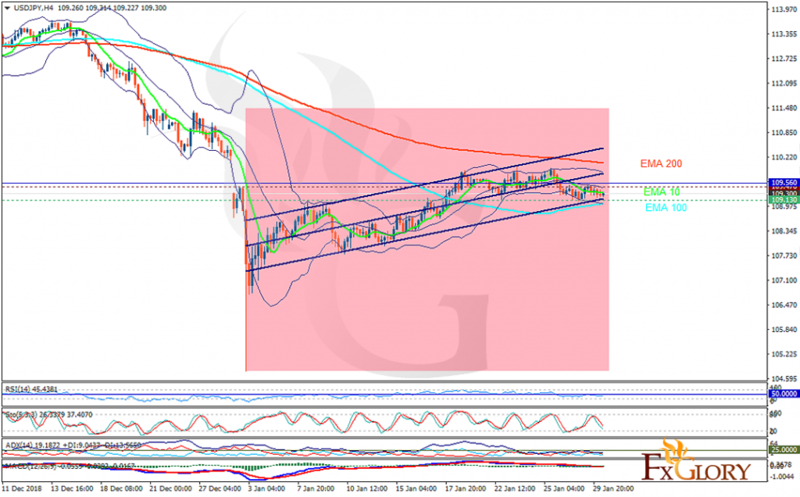 The RSI is moving below 50 level, the Stochastic is showing downward momentum and the MACD line is below the signal line in the negative territory. The ADX is showing weak sell signal. USDJPY is growing very slowly towards 110.